RON SWARNER: It was 1842 when a young Bavarian brewer named Josef Groll created the world’s first golden, hoppy lager in a small town located in what we now know as the Czech Republic (but which was then Bohemia). That town, which eventually lent its name to the beer style Groll pioneered, was Pilsen. As is the case with so many great innovations, the creation of pilsner was the product of a fortuitous union of ingredients and methods — in this case the pale barley malt, soft water and Saaz hops of Bohemia combined with the unusually cool fermenting and conditioning methods developed in Bavarian breweries. The result, which apparently shocked the inexperienced and reportedly rather incompetent Groll as much as it delighted the citizenry of Pilsen, was a clear, golden and tantalizingly refreshing beer well-removed from the cloying and cloudy brews that preceded it. 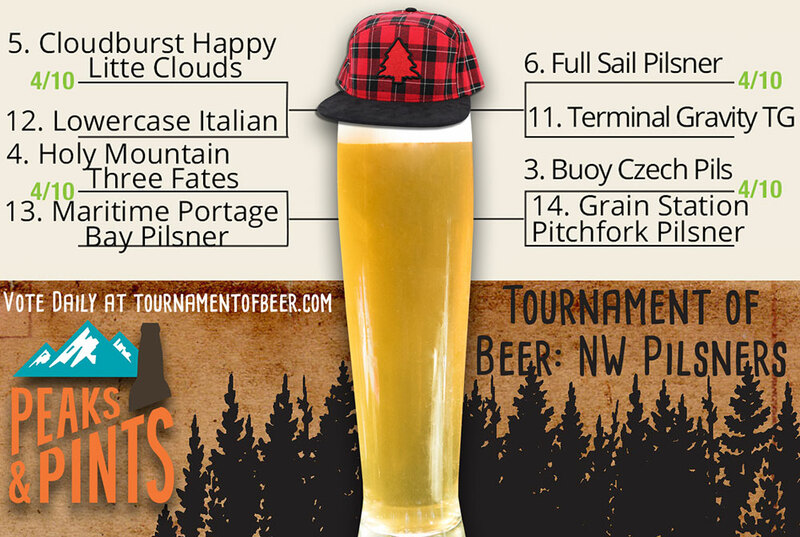 That beer style lives still today and the focus of Peaks and Pints third annual Tournament of Beer: Northwest Pilsners. PEAKS AND PINTS WEATHER GUY: My forecast calls for a heavy fall of snow, heaviest during this afternoon at Mailbox Peak. Chance of precipitation is 100 percent. Total daytime snow accumulation of 3 to 5 inches possible. Snow in April is super lame. Chance I’ll ever get to be the beer cooler guy: 4%. RON SWARNER: Sounds good. Below is a recap of yesterday’s action followed by eight new pilsners hitting the court today. PEAKS AND PINTS WEATHER GUY: Chance I’ll ever run this tournament: 2%. RON SWARNER: Brothers Cascadia Brewing and its tradition Czech-style pilsner kept a steady push on 7 Seas Brewing’s Northwest-style IPA from the opening tip-off and all they way until the final buzzer. It was a bold move for 7 Seas not to market like they do so well, but instead rely on their delicious pilsner and South Sound fans as much as they could. With 70 percent of the votes, and no doubt a hangover this morning at the Craft Brewers Conference in Denver, Brothers Cascadia moves into the Second Round. 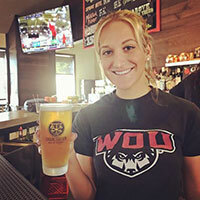 PEAKS AND PINTS WEATHER GUY: Weird, 253 is in the pilsner’s name. RON SWARNER: Everyone loves a good comeback, and this may have been one of the better clutch performances in the history of the Tournament of Beer. Down by a substantial margin by dinner time, Icicle Brewing Crosscut Pilsner woke up Leavenworth, and squeaked out a four-vote win. Seriously, Tournament of Beer analysts had already written Trap Door Brewing’s delicious Czech Pils in the Second Round at 11 p.m., 45 minutes before the final buzzer. Did Icicle fire up the village carillon ringers? Did Icicle haul out the alpine horn? Whatever the Leavenworth brewery did to wake up the voters, it worked. Icicle Crosscut Pilsner moves into the Second Round. PEAKS AND PINTS WEATHER GUY: In the Second Round, Icicle Brewing should consider hosting an all-Oompah tribute to Morrissey. RON SWARNER: Breakside Brewery is the rare brewery that will please all palates, from casual patio sippers to obsessive beer geeks. And it’s 75 percent margin of victory over popular Old Town Brewing proved it. 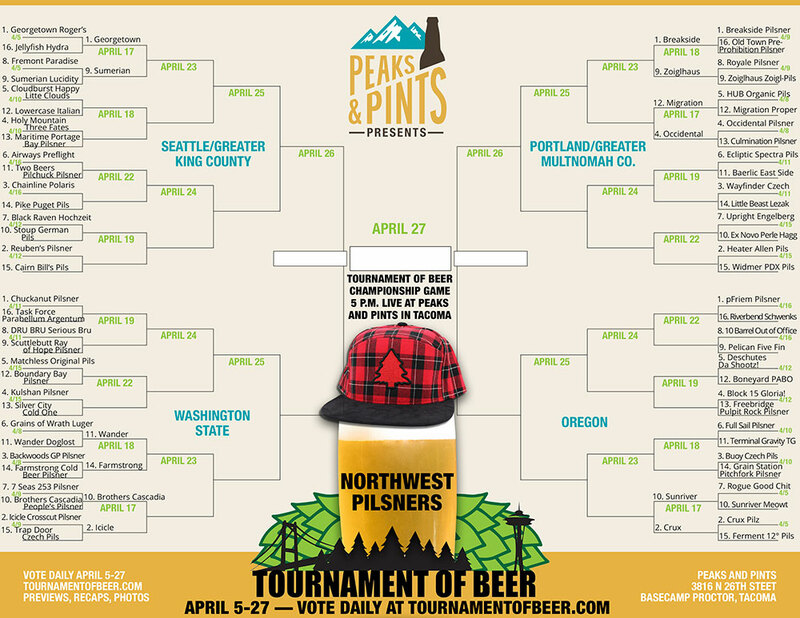 The number one seeded Breakside has their sights on the April 27 championship and a two-season permanent handle at Peaks and Pints, and their competition needs to bring it to stop this amazing traditional German-style lager with clean bitterness. PEAKS AND PINTS WEATHER GUY: Breakside’s pilsner has more awards than days I’ve had correct forecasts. RON SWARNER: Despite a late push from Royale Brewing, Zoiglhaus Brewing and its large, devoted German beer geek following proved too powerful in yesterday’s action, catapulting the Zoigl-Pils into the Second Round with 60 percent of the votes. You can’t question the Zoiglhaus following, and sometimes a following is just what it takes in the Tournament of Beer. PEAKS AND PINTS WEATHER GUY: Zoigl. RON SWARNER: OK, let’s do a quick liver-size check, then dive into today’s First Round pilsner battles. Vote for one pilsner per game. Voting for today’s pilsner battles ends at 11:45 p.m. PEAKS AND PINTS WEATHER GUY: There are some prime time games today. PEAKS AND PINTS WEATHER GUY: Today we’re going to start with a real simple background. We want to load the brush with some black and we’re going to make some real simple wedges, maybe four of them, not too far apart, and that’s going to be the start of our cramped and humid studio apartment without furniture. RON SWARNER: Lowercase Brewing sits in South Park, but not the one depicted on Comedy Central. Instead of seeing the Rocky Mountains in the background, Lowercase sees the Duwamish River and the Seattle skyline. Behold its Italian pILSNER, a gold medalist modeled after Italian brewery Birrificio Italiano’s Tipopils. 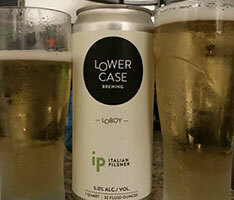 Italian pilsner is an emerging sub-style of beer that is a close cousin to German pilsner, but differentiates itself by way of a generous dry hopping regimen. Lowercase’s version is light and crisp, but with unique floral undertones. PEAKS AND PINTS WEATHER GUY: Crisp, floral, and refreshing — like me zooming past an expensive Italian restaurant on a Vespa. RON SWARNER: Holy Mountain Brewing is the creation of Mike Murphy and Colin Lenfesty, two Seattle homebrewers who hit it off over a shared love of heavy metal while working at Schooner Exact Brewing. 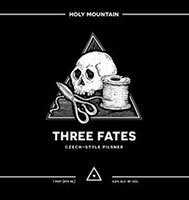 While they excel at mixed-fermentation ales — primarily saisons and wild ales brewed with a mix of Brettanomyces and local microflora — their unfiltered Czech-style pilsner Three Fates is as good as it gets with a smooth, soft cracker character balancing grassy and herbal hops with slight black pepper. PEAKS AND PINTS WEATHER GUY: I need to remember to breathe. RON SWARNER: In 1990, George and Jane Hancock founded Maritime Pascific Brewing Company in an old transmission shop in Seattle’s Ballard neighborhood. As traditional homeport to Northwest mariners, the Ballard district of Seattle provides them the perfect setting for a brewery with a seafaring name and a logo that recalls days past when fast windships once plied these Puget Sound waters laden with cargo for trade in exotic ports-of-call. 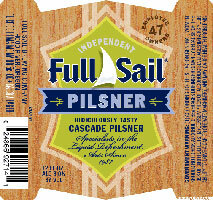 To please the descendants of those bygone sailors in whom the taste for fine local beer lives on, George brews his German-style Portage Bay Pilsner to prove how rich in flavor a pilsner can be while still coming off crisp. PEAKS AND PINTS WEATHER GUY: Once a bird tried to nest in my pirate hat, and it was just the cutest thing. RON SWARNER: Perched on a bluff in Hood River, Oregon, overlooking the mighty Columbia River’s epic wind and kite surfing and the snow-capped volcanic peak of Mt. Hood, Full Sail turned on the mash tun in 1987. While the brewery’s sustainable practices have garnered more than 300 national and international awards, including more than 200 gold medals and Beverage World’s “Craft Brewer of the Year” distinction, they couldn’t sustain their Pilsner. Apparently, they ceased draft production two months ago. It’s a shame. I enjoyed the hoppy Northwest style pilsner brewed with Cascade hops, as do many others as it landed a sixth seed in the tournament. PEAKS AND PINTS WEATHER GUY: For you are the wind beneath my wings, Full Sail Pilsner. RON SWARNER: In 1997, Steve Carper and Dean Duquette founded Terminal Gravity Brewing in the “Middle of Nowhere” — Enterprise, Oregon. The Duquettes built most of their equipment. Terminal Gravity was so old school and do-it-yourself that the brewers milled the grains using a large coffee grinder that took so long they had to begin a whole day before brewing to prepare enough. Of course, TG has modernized a bit since 1997; the brewery now has an 18bbl brewhouse and still puts out a respectable 6,000 barrels of beer a year. Brewed in the classic Czech style, TG PIlz is bright and full-bodied with a slight spicy bitterness and crisp, clean finish. RON SWARNER: Astoria, Oregon, arborist Luke Colvin coaxed client, longtime homebrewer and lager specialist Dan Hamilton to open Buoy Beer Co. with his brother-in-law David Kroening, business advisor Jerry Kasinger and businessman Andrew Bornstein, who had a 90-year-old cannery building in Astoria on the wasterfront. The rest, as they say, is history. 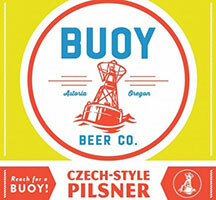 Buoy makes some of the finest light lagers in the state, including a clean and biscuity Czech Pilsner that’s become a staple all over Oregon, and Peaks and Pints. It hits the nose with grainy biscuit malt and grassy hops — not complicated, but on style. 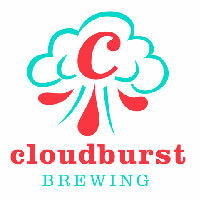 Flavor is biscuit malt, grassy and slightly citrus hops, lemon, hints of honey, and mixed grain spiciness. 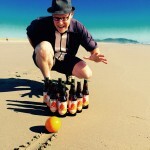 PEAKS AND PINTS WEATHER GUY: The sea is my mistress. And you have to swear not to tell my mom. RON SWARNER: In March, I drove past many a farm, ranch and winery before arriving at Grain Station Brew in Monmouth, Oregon. This location is an extension of the brewery’s original brewery and brewpub, which is a renovated, old timber barn in the heart of McMinnville’s Historic Granary District home. From its patio one can see the brewery’s namesake’s grain towers that were the hub of Yamhill Valley’s industry at the turn of the 20th century. From the Monmouth location, all I could see was my Pitchfork Pilsner and a stack of delicious pancakes. Named after the pitchforks worn smooth from long days in the field, Pitchfork Pilsner is just what you want it to be — clear, bready and floral. PEAKS AND PINTS WEATHER GUY: Were you drinking a pilsner during breakfast?